A school bag has to be practical, distribute load evenly so that kids can carry it around comfortably and additionally also needs to look good so that kids are happy and proud to wear them. 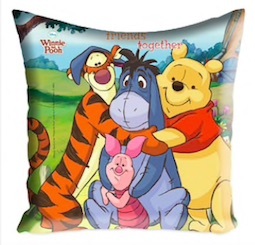 Shopping for children’s bags can be tedious exercise given that a fine balance needs to be maintained between design, the looks of the product, and the budget. Given the plethora of school bag designs & brands available both online & offline these days, one can get quite confused with choices. 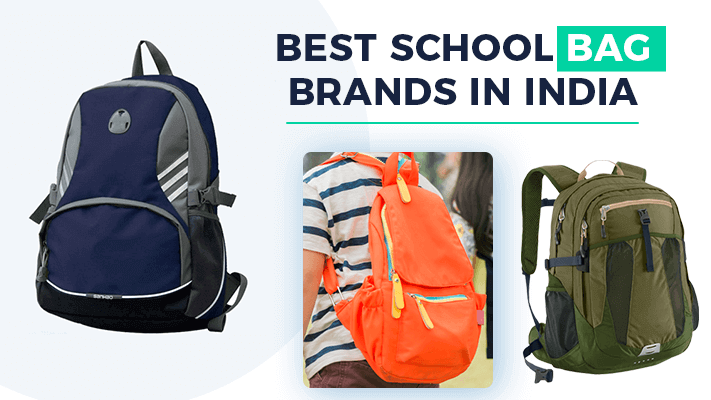 To make the process of purchasing a school bag as easy as possible, our in house experts have compiled a list of 2018’s best school bag/backpack brands in India. Founded by Sol Koffler in 1933 as American Luggage Works in the USA, the company was acquired by Samsonite in 1993. The company is known for top quality suitcases, backpacks, baggage and wallets. The products are put through a series of rigorous quality tests so buyers are assured of the best quality products. 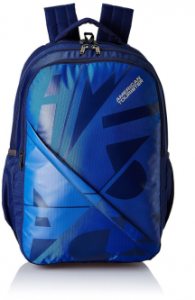 Blue Casual Backpack by American Tourister made with tough polyester fabric and good quality zippers that open and shut smoothly, this school bag has three full compartments, a front pocket, and padded shoulder straps for full comfort. 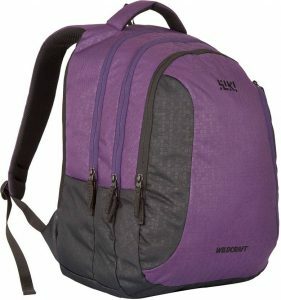 Check Coupons of School Bags & Backpacks from various Brands on GreatBuyz. Owned by VIP Industries, a giant in the luggage manufacturing industry, Skybags is a leading brand for luggage, bags, backpacks, etc. VIP Industries was established in 1971 and has been a leader in the luggage and bags segment. Skybags has a wide variety of baggage products including duffel bags, trolley bags, cabin luggage and school bags to name a few. The school bags come in a range of colours and designs guaranteed to appeal to children and young adults. 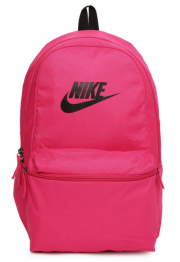 The Bingo Plus School Backpack is an attractive pink, made of durable polyester fabric. Padded shoulder straps, multiple compartments and a side mesh for water bottles are some of its main features. 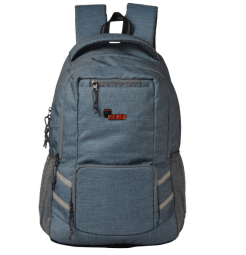 Bangalore based F Gear has been manufacturing backpacks, travel bags, briefcases and other similar products since 2002. 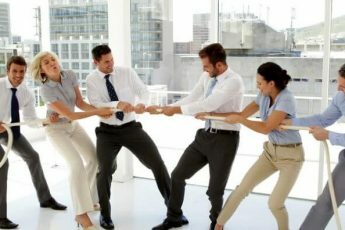 Widely available online on most shopping portals you can also purchase their products directly from the company website. The F Gear Intellect 32 is a spacious bag that also has a rain cover. This intelligent addition to the basic bag means it can be used in the monsoon without worrying about the contents of the bag getting wet. The name needs no introduction; Nike is a brand recognised the world over for superlative products designed to improve performance and to motivate people to do more stuff. 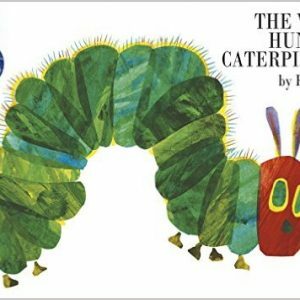 Established in 1964 as Blue Ribbon Sports, the company was officially renamed Nike in 1971. Apart from highly specialised shoes for various sports and activities, the company also makes sportswear, streetwear, and accessories like bags and backpacks. This Unisex Pink Heritage bag has a spacious main compartment plus a zippered pocket on the outside. Broad padded shoulder straps make carrying it easy and there’s a sturdy loop to hang it up on. Mainly into promotional gifting for corporates, Skyline has a massive range of products including various types of bags for industrial, commercial, and personal use. 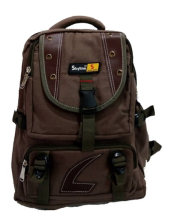 A wide selection of Skyline school and college bags is available on popular online shopping portals. This School Backpack from Skyline is an excellent choice and is very reasonably priced. Made with rich chocolate brown denim there are multiple compartments including a separate pouch for a water bottle. One of the most well known brands in the world for sports wear, footwear and apparel, Puma has been a leader in this sector for more than 65 years. The company has collaborated with top design brands like Mihara Yasushiro and Alexander McQueen and also has the biggest sports stars as its brand ambassadors including the man in the world – Usain Bolt. The USL Nylon 33 Ltr Grey School Backpack from Puma is made with sturdy polyester and has one large main compartment with two pockets. Puma also has a range for little kids with quirky designs, ideal for toddlers and younger kids. Check out this peppy grey and green backpack they have on offer. HRX launched by film star Hritik Roshan is based on a life philosophy to keep pushing to one’s extreme. The X in the brand name represents this extreme. The brand is about fitness and fashion and includes shoes, bags, clothing and other accessories. 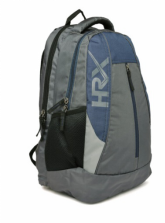 This navy and grey backpack from HRX has padded adjustable straps, two main zipped compartments and a padded laptop sleeve inside. Grab Myntra coupons on GreatBuyz. Best known for trekking and adventure gear and accessories, Wildcraft has a superb range of bags and backpacks too. Started by a trio of friends with a passion for the outdoors, Wildcraft is now a brand known for its light and durable, well designed, and even stylish products. Their range of backpacks includes many models that are great for school. The Wiki by Wildcraft has a properly padded back, and broad padded straps too with two main compartments and a mesh side pocket for a water bottle. Flying Machine from Arvind Mills is the oldest brand of jeans in India, formed in 1980. 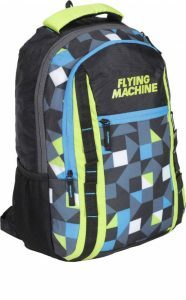 Now a full fledged fashion brand with Sushant Singh Rajput as the face of the brand, Flying Machine has apparel, caps, sun glasses, and a variety of bags including backpacks suitable for school and college. This padded laptop bag is not only attractive, it has a tough top handle, padded straps, a main compartment and a concealed compartment on the back, two bottle holders and an external pouch too. 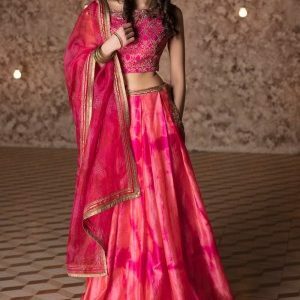 Buy it for Rs 899 here. Lavie launched its first bag collection in 2010 and soon extended its range to shoes, belts, wallets and other accessories. Designed for the modern 21st Century woman Lavie is a favourite brand among millennials today with their products available on most online shopping sites. This bright and eye catching Tucson School Bag has a rain cover, bottle holders, organiser with pen holders, padded straps and smart string zipper pullers that add just that little element of style. 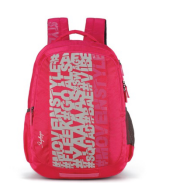 Lavie also has a range of backpacks for toddlers and little kids to start off school on a happy note. 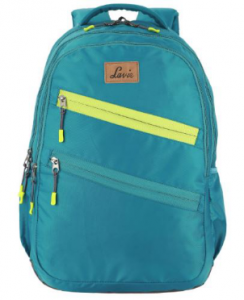 The Lavie Tatoo Girl backpack is a pretty little bag for little girls with wide shoulder straps and ample compartments to keep their little pencils, crayons and other essentials neatly. 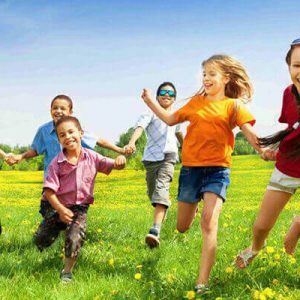 Now that you have the best school bag brands in India all together in one place you’re sure to find the perfect school bag suited for your child’s needs in just a few minutes. Happy shopping!